Article provided by: Armando A. Pérez Pérez, Francisco Acosta Ruiz and Pablo Salcedo Mederos. According to references given by FIDE International Arbiter Mr. Carlos A. Palacios, (the most documented historian of Cuban chess), the practice of “chess at a distance” is produced, fundamentally, through games played by telegraph, telephone, and postal, associated to occasionally special encounters, which had nothing to do with the official organised practice of typical postal tournaments. Well known is the game played on February 1903 between the Manhattan Chess Club and its equivalent in Havana, in which played the young José Raúl Capablanca. In the book “Selected Games” (Spanish Edition), the Russian GM Mikhail Botvinnik wrotes -in the introductory comment to the game N° 82 (Botvinnik – Thomas, Nottingham 1936) – about alleged correspondence games between Capablanca and Thomas, of which we sadly have founded only this comment. In 1960 a great movement began which led to the massive development of chess, and this reached its summit with the celebration in Havana of two unforgettable events: the 4th International Tournament “Capablanca in Memoriam”, in which the legendary USA, GM Robert Fischer participated playing by telegraph, and the 17th Chess Olympiad. The first time a Cuban plays in a tournament. Several months later Mr. Acosta received his first letter from a player and in a couple of days more, the official pairing of the Thematic International Tournament of the Latvian Gambit G-7/67. It was the first official competition in which a Cuban took part. 1º. J.S. Morgado (ARG) 20/22, 2º. N.R. Eckenfels (ARG) 19, 3º. G. Toro Solís (CHI) 14½, 4º. A.L. Saavedra (ARG) 13½, 5º. F. Acosta (CUB) 12½, 6º. N. Morillo (VEN) 12, 7º. P. Atars (VEN) 10, 8º. V.H. Ortiz (ARG) 9, 9º. C. Torres (ARG) 8, 10º. L. Alberts (ARG) 6½ 11º. C.H. Alvarez (ARG) 4, 12º. Olmedo (ARG) 3. Was running the year 1969, when Mr. Acosta taked one important decision, to organise a National League, similar to the model he had as reference, taken from Argentina and other Latin-American countries, and from the ICCF. But this first idea was not supported by the National Chess Commissioner (FIDE IA) José L. Barreras because in order to promote chess activity within Cuba, he had previously started some 50 postal games with amateurs from all over the country, but almost all the games were unfinished, because his opponents withdrew! Two years later, on March 5, 1971, Mr. Acosta submitted the project, with the idea to organise Correspondence Chess in Cuba, to Mr. Oscar Cuesta, the new National Chess Commissioner. The FECAP had born, and their starting officers were elected in a meeting that took place on July 24, this group was formed by Lic. Francisco Acosta Ruiz as first FECAP President, and the others members of the E.B. were Jorge Battle Blanco, Roberto Madrigal, José Valencia, Miguel Valladares, Luis R. Díaz, and Tomás Rodríguez. Our first National Championship was launched, through a humble press release in the sports page of the “Granma” newspaper, on April 5, 1972. Only a couple of months later, exactly on June 1st, the preliminary phase of the First Cuban championship began with 469 players distributed in 52 groups. For more than 4 years the different phases took place, until in September 30, 1976, the Final ended with the victory of Raúl Fernández, who would years later become the first Cuban to achieve the IM Title. 1º. Raúl Fernández 9½/12; 2º. Osvaldo Pérez 9; 3º-4°. Roberto Lam, Alberto Barreras 8½, 5º. Felipe Bedevia 7½; 6º. Jorge Gutiérrez 6½; 7º-8°. Jesús Agüero, Osvaldo Santos 6; 9º. Alvio Gonzalez 5½; 10º. Ricardo Pardo 5; 11º. Justo Sardiñas 4; 12º. Miguel A. Pérez 1; 13º. 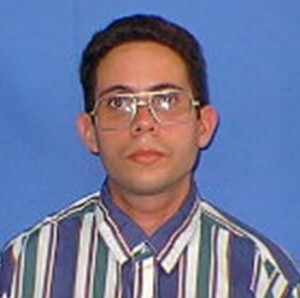 Carlos A. Junco 0. Until now, Cuba has organised 19 National Championships, which have been won by the following players: Pablo Salcedo (2nd, 10th, 13th, and 17th), Luis Achkienasi (3rd), Jorge Llorente (4th and 11th), Nelson González (5th), Alberto Barreras (6th), Guillermo Estévez (7th), Francisco H. Pérez (8th), Othoniel Rodríguez Capey (9th), Humberto Fariñas Seijas (12th), Enrique. Ferreiro García (14th), Carlos Diéguez Vera (15th), Armando A. Pérez Pérez (16th), Ramon Au Cardero (18th), and the winner on the (19th), is unknown yet. Among women, from September 1977 to August 1978 we organised the final of the 1st Championship, won by Elba Rojas. The other winners have been María C. Santana (2nd and 3rd), Nora Laya (4th and 5th), Regla Agramonte (6th), Roquelina Fandiño (7th), María E. Santana (8th), Nery Maceira (9th), Teresa González (10th), María de los A. Ynchauspi (11th and 12th). We organized our first International tournament to celebrate the second anniversary of the Federation, with the participation of the most successful Cuban players and several invited players from other federations. 1º. V.F. Kozlov (URS) 12/14; 2º. Alberto Barreras (CUB) 11½; 3º. Carlos A. Junco (CUB) 11; 4º-5°. Abelardo García (CUB); Jorge Gutiérrez (CUB) 10; 6º. Juan S. Morgado (ARG) 9½; 7º-8°. Aristides Veiga (CUB), Luis Pérez (CUB) 9; 9º. A. Lejarza (MEX) 7; 10º. 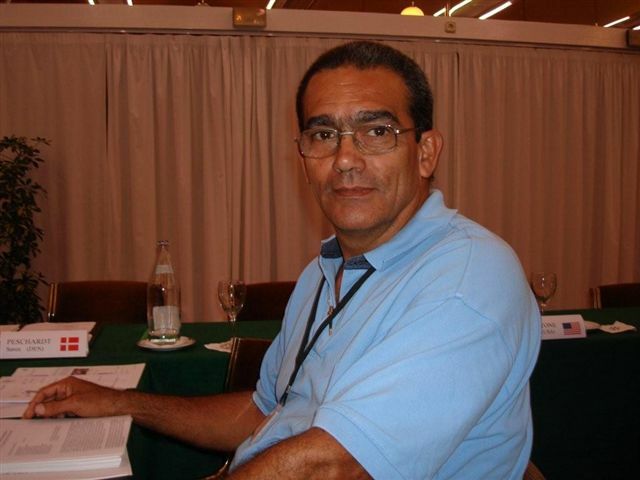 Manuel A. Martínez (CUB) 5; 11º. Alex San Pedro (CUB) 1½; 12º. A.L. Monsalvo (ARG) ½; 13º-15°. Joaquín C. Díaz (CUB), E. Tarraga (ARG), F.J. Cisneros (BRA) 0. Only a few months later, in November 1974, with an incredible number of 364 players, 262 foreigners from 31 nationalities, we organized the Open International Tournament “El Deporte es un derecho del pueblo” (Sports are a right of the people). The final stage started in August 1, 1978, with the participation of 81 players, distributed according to the Moreno system for events with a great number of participants. The winner was the Soviet player G. A. Marulin who won all 12 games he played. He was followed by J. Popiesch (POL) and R. Beoto (CUB) sharing 2nd place with 11½ points; 4th-6th H. van de Wynkele (BEL), D. Thielen (RDA), Albogeo Tur (CUB) 10½, 7th-9th L. Kovacz (HUN), P. Domec (ESP), R. Lam (CUB) 10; 10º-12°. O.J. Giannotti (ARG), M.A. Conde (ESP), P. Fortuin (NLD) 9½. Cuba reach the ICCF acceptance, became the 52nd member on 1977. It was a long road the officers of the new-born federation, with Lic. Luis L. Yance Ramirez ahead, had to take before it was officially recognised by the Department of Associations in the Ministry of Justice. On August 8, 1989, a few days later, on August 26, in a meeting attended by the highest authorities of Cuban Correspondence Chess, FECAP was officially constituted with the following National Executive Committee: Luis L. Yance Ramirez, José R. López, Armando Jaime Chavez, Pablo Salcedo Mederos, Albogeo Tur, Antonio Fernández Kessel, and Jorge L. Díaz Castañet. Since 1983, Pablo Salcedo Mederos created the National Rating and Categories System to Cuba. Until this date, more than 11,000 players have participated in more than 6,000 tournaments organised by FECAP, Their 61 have reached MN’s title. The best result in Pan Americam team tornaments was, in 4th Pan Americam team championship when Cuba holds 3rd place with followings players, ordered by boards: José Ramón López Gómez, Alberto Barreras García, Vicente Allosa García, Luis L. Yance Ramírez, Juan F. Kamanel Zamora and Manuel G. Sansón Hernández. IM: Raúl Fernández Alvarez (1993), Raúl Pérez Hernández (1997), Luis Lamarche Rodríguez (2001), Angel Surroca Collazo, Maikel Góngora Reyes, Pablo Salcedo Mederos, Armando A. Pérez Pérez (2003), Guillermo Santana Peñate (2005), César Revuelta Capablanca e Yoel Ibarra Padrón (2006), David Hernandez Molina (2007), Carlos Dieguez Vera (2010). LM: Maria de los Angeles Inchauspi Leyva (LM 2007). LGM: Maria de los Angeles Inchauspi Leyva (LM 2008). SIM: Pablo Salcedo Mederos (2004), Guillermo Santana Peñate and Yoel Ibarra Padrón (2007), David Hernández Molina and Carlos Dieguez Vera (2010). GM norms: Pablo Salcedo Mederos and Guillermo Santana Peñate. The best Cuban correspondence chess players of the 20th century were in alphabetical order: NM Luis Achkienasi Cherniak, NM Jorge L. Díaz Castañet, FIDE-IM Guillermo Estévez Morales, FIDE-IM Rafael Alberto Barreras García, IM Raúl Fernández Alvarez, NM Nelson González Rábago, NM Jorge Llorente Galardy, NM José R. López Gomez, NM Francisco H. Pérez Cruz, IM Raúl F. Pérez Hernández, NM Othoniel Rodríguez Capey, NM Pablo Salcedo Mederos, and NM Angel Surroca Collazo. SIM Guillermo Santana Peñate has never won a national championship, but he jumps more higer and is playing in the World Championship 26 Final. He got this right because he finished second in the 18 Final of CADAP.